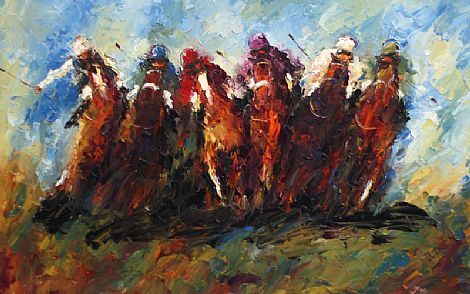 A native of Dublin, she has been interested in painting from an early age. 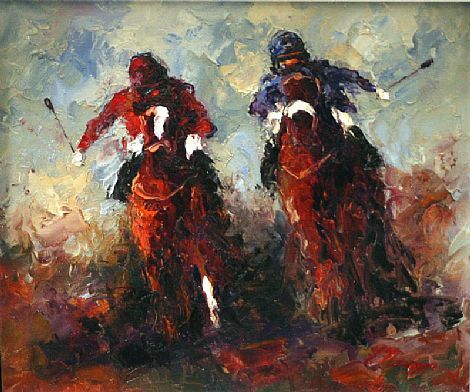 After studying both watercolours and oils, she discovered a preference for the rich colours and textures that she found could only be produced with oils. 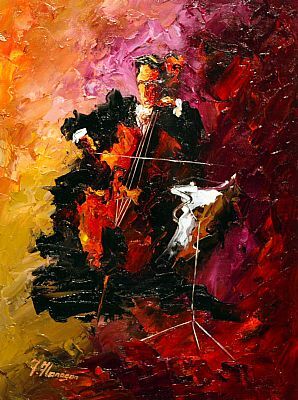 She has developed her own personal style which could be described as a mixture of abstract and impressionism. 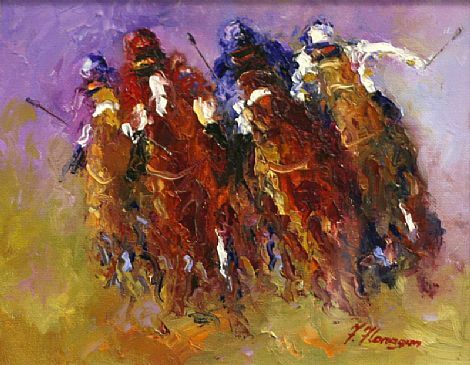 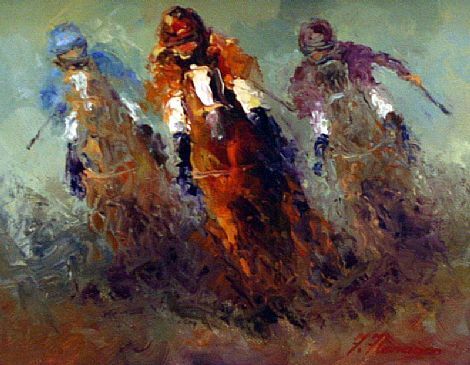 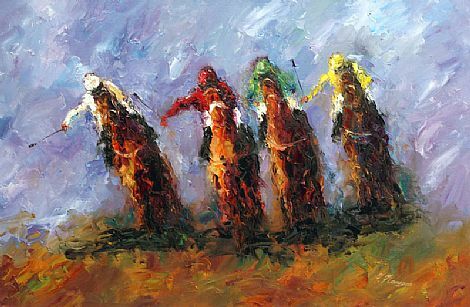 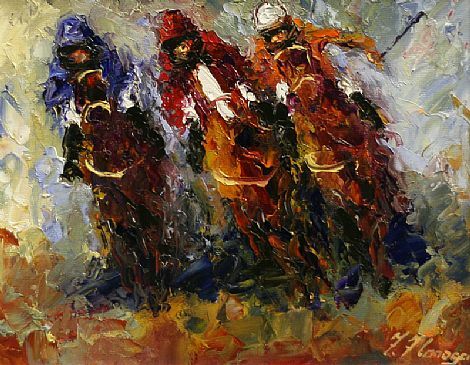 Her paintings, depicting musicians, racehorses and misty still lifes have found homes in many corners of the world. 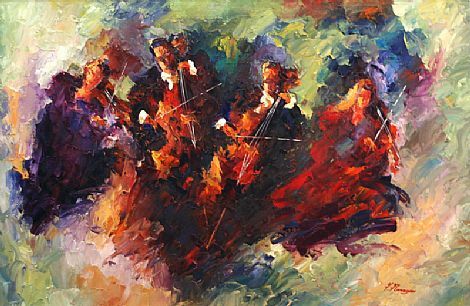 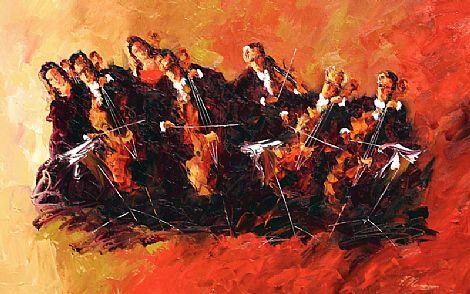 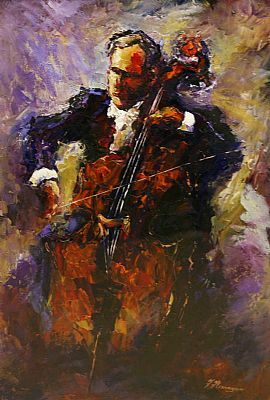 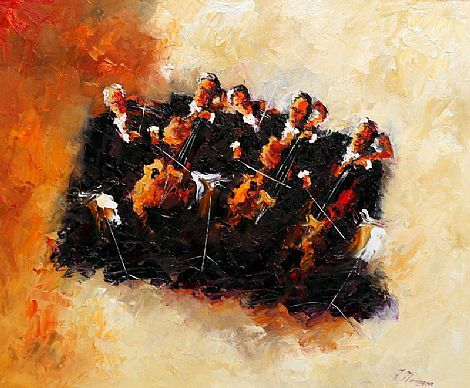 The paintings of musicians in particular seem to capture the very sound of the orchestra as if the viewer can actually hear the music through the movement of the paint. 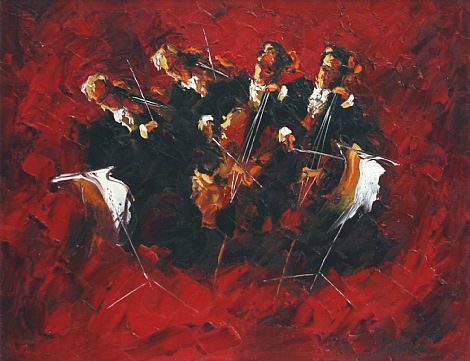 One of the paintings featuring musicians was selected for the millenium calendar of the ICC Bank which featured Young Irish Art. 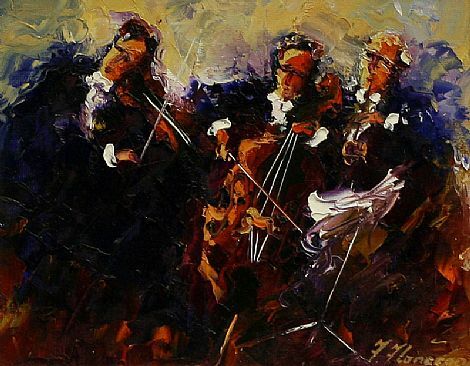 Another painting featuring musicians was chosen by the national Concert Hall for use in its promotional literature.